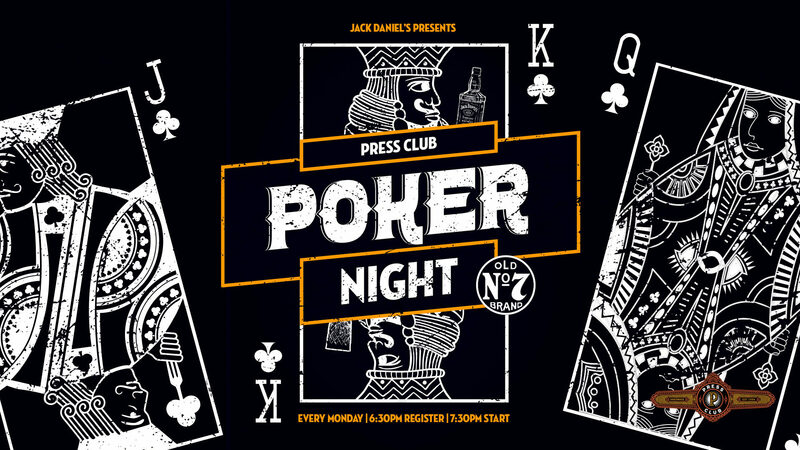 Go all in every Monday night with Press Club poker. We bring you a full house of fun with weekly prizes, Jack Daniels and Jack Daniels Fire drinks plus major prizes for the winners. Registration is from 6.30pm for a 7.30pm start with a $10 entry fee.